All Mohawk risers are now crafted with an attractive combination of beautiful reddish Bubinga accented with strips of Mycarta. Bearpaw's own master bowyer Chris Unger designed the Mohawk grip to fit perfectly in your hand. This makes a bow that points naturally and shoots with enhanced stability. 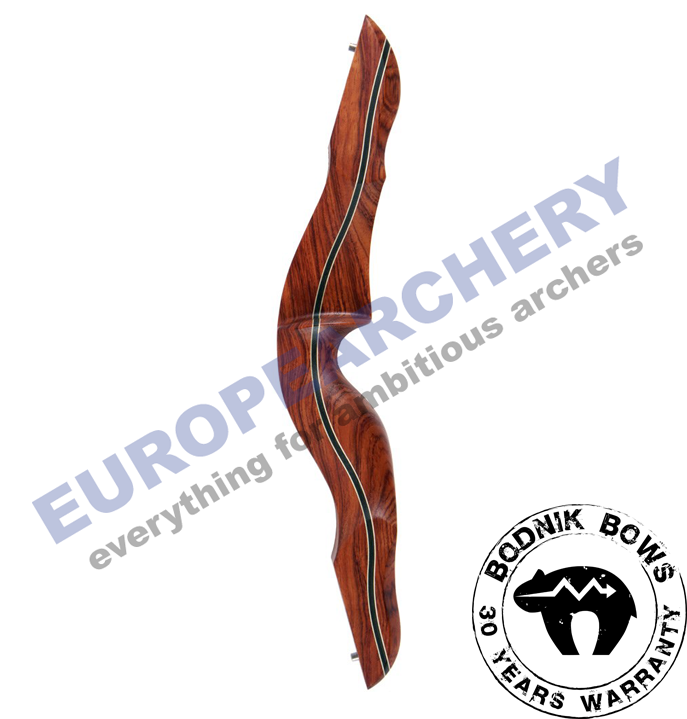 Our Mohawk has earned its reputation around the world as one of the best all-around take-down bows available anywhere - and at a very attractive price! Please contact us for availability prior to ordering. Heavier Weight - Solid in the archer's hand. 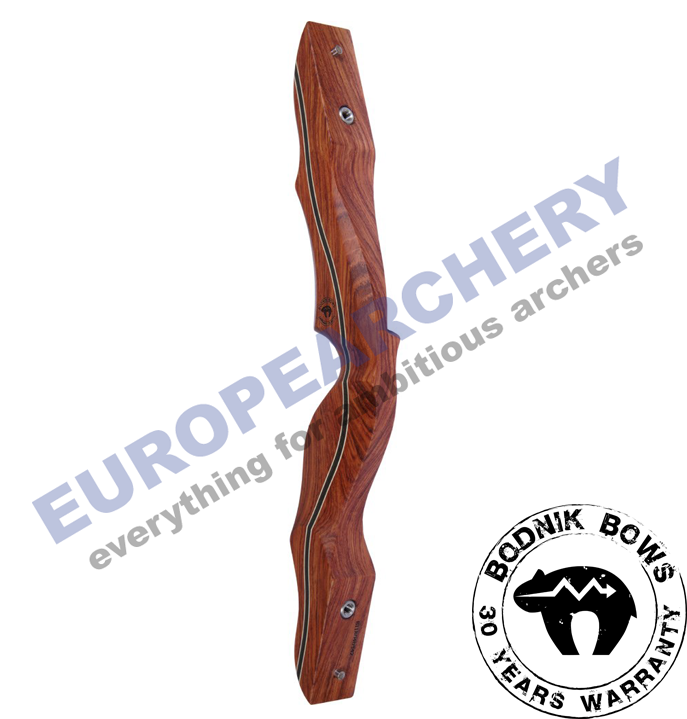 Very Natural & Attractive Look - Why not shoot a beautiful bow? Higher Stability - Stable bows allow more accurate shooting under all conditions. When selecting the Mohawk Recurve the choice is yours: Recurve limbs are available in a compact 60" model and a longer - smoother 62 inch model. 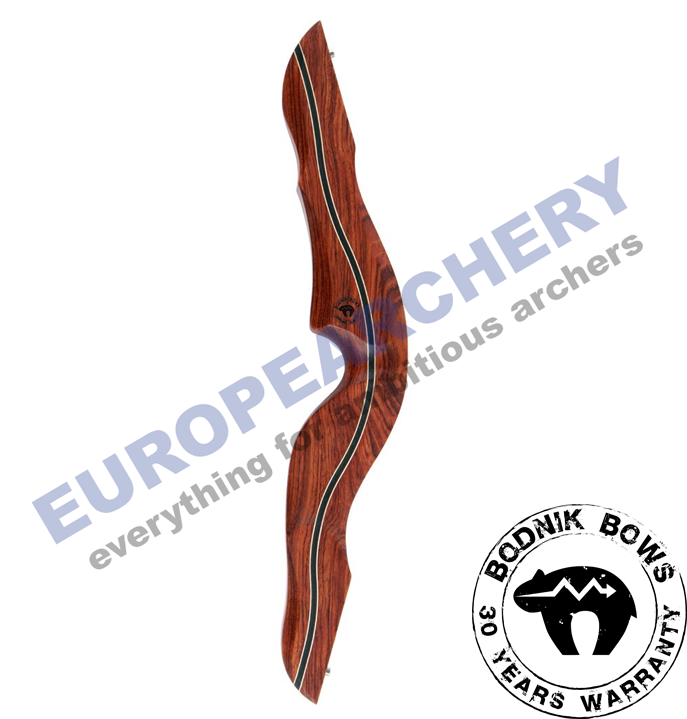 The Mohawk Hybrid Longbow is available in a smooth - fast 62 inch model. Every one of our Bodnik Bows are crafted by skilled bowyers in our own Bearpaw Products manufacturing facilities. Bodnik Bowss is a valuable member of the Bearpaw Products Group!